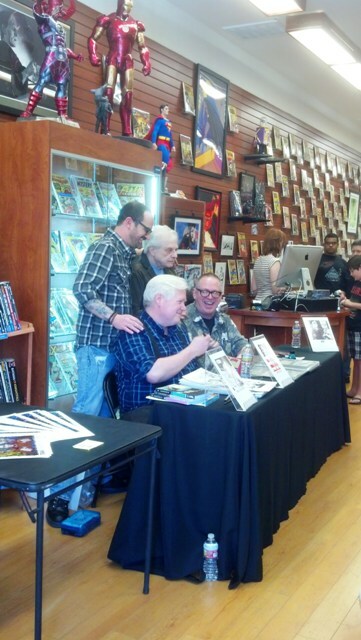 By John King Tarpinian: Today, January 18, Harlan Ellison, Paul Chadwick and Ken Steacy helped celebrate Blastoff Comics 2nd Anniversary by signing their graphic novel, 7 Against Chaos . 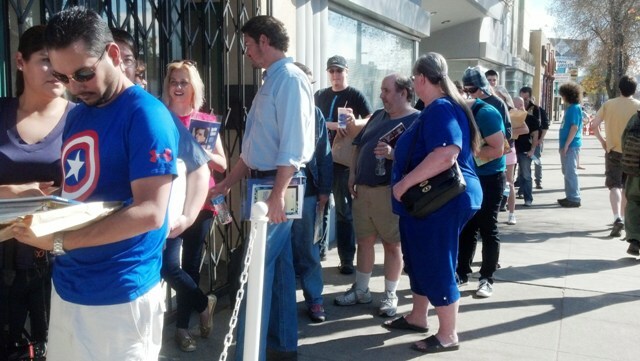 Harlan was in good spirits as was the gaggle of fans lined up outside in the 85 degree California sunshine. 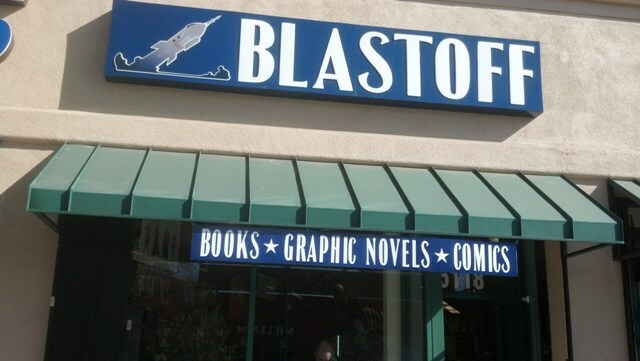 The store made sure everybody was properly hydrated by passing out water, not to mention feeding the parking meters for customers. Being that I am a collector of fountain pens I was pleased to see that Harlan bought his case of pens and ink to sign the books with. A class act indeed. Since She-Who-Must-Be-Obeyed decided we’d take the dogs on a hike from Ferndale Park to the Griffith Observatory, and having stood outside interacting with the attendees, I did not stick around much after that so this is a short-and-sweet report. Ken Steacy, Paul Chadwick and The Growler. 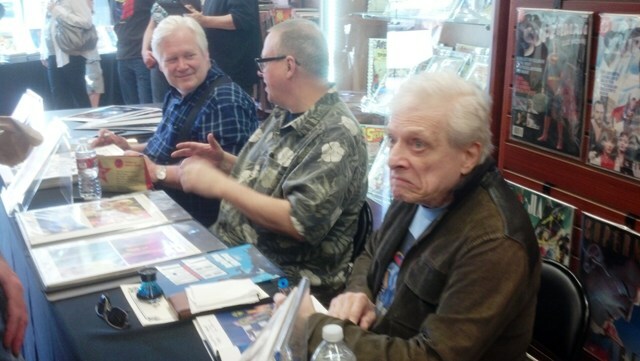 Steacy, Chadwick and Harlan Ellison signing. 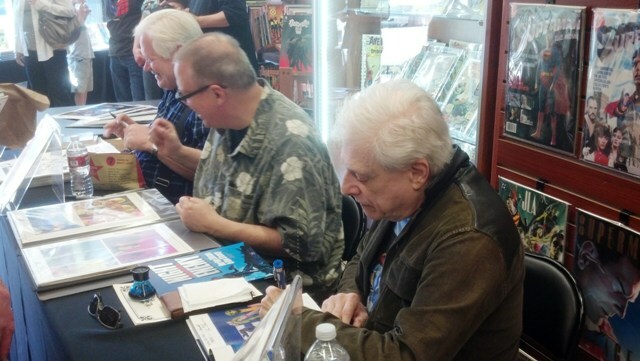 This entry was posted in Like Show Business and tagged comics, Harlan Ellison, Ken Steacy, Paul Chadwick by Mike Glyer. Bookmark the permalink.